Australia is actively engaged in the War on Terror. ASIO, ASIS and the AFP have expanded rapidly in size and their powers have been enhanced by counter-terrorism legislation. Frank Cain argues that these agencies were significantly politicised under the Howard government, though not for the first time. 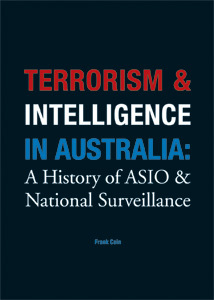 This book traces the history of the intelligence agencies in Australia and their use by anti-Labor governments against the broad Left, as well as the notion that Australia's surveillance agencies have today become adoptive allies of the Liberal Party.